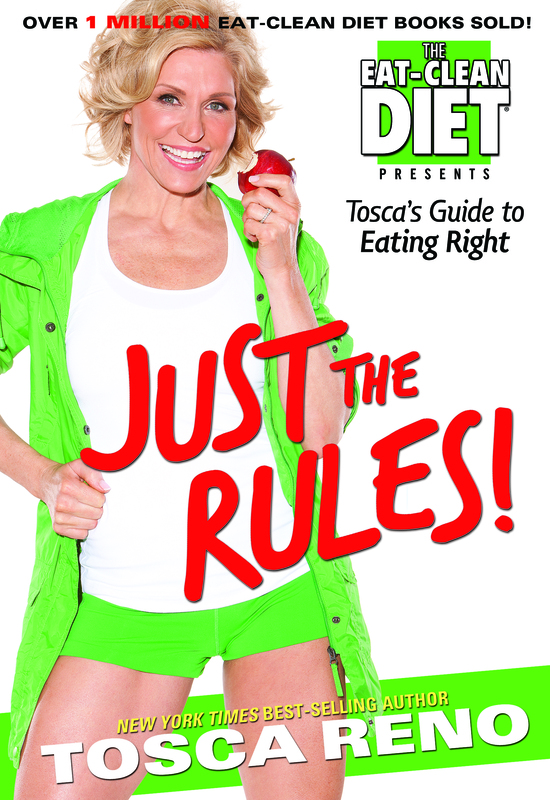 Tosca Reno is the New York Times bestselling author of Your Best Body Now and the Eat-Clean Diet® series, which has sold more than two million copies worldwide. 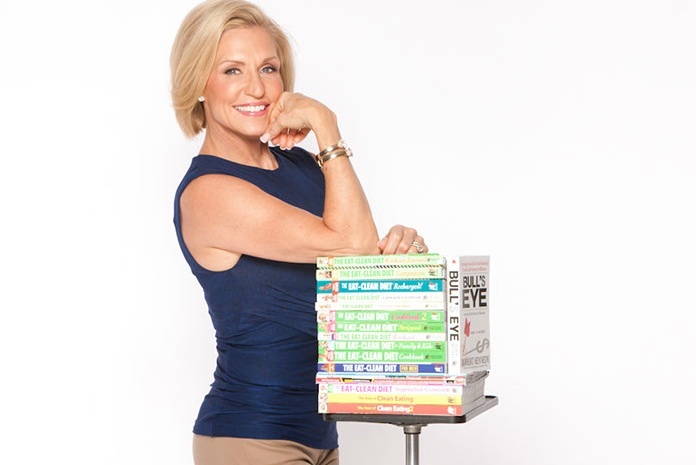 She is one of the leading North American health and wellness experts fighting the battle against obesity. Tosca has a B.Sc., B.Ed. and is a certified Nutritional Therapy Practitioner (NTP). At the age of 40, Tosca took control of her life and transformed her overweight and unfulfilled self into a strong, fit woman by eating clean. For the past decade, she has been helping an ever-increasing number of followers lose weight and get healthy with the Eat-Clean Diet®. In her multiple roles as author, certified Nutritional Therapy Practitioner, fitness model and motivational speaker, Tosca translates healthy eating into an easily adaptable and enjoyable lifestyle that has attracted big-name celebrity followers such as Angelina Jolie, Bobbi Brown and Nicole Kidman. She sits on the board for the Nutritional Therapy Association (NTA) and the Canadian College of Naturopathic Medicine (CCNM). Tosca is a popular guest on numerous national TV, radio and web programs, including The Suzanne Show, Good Morning America, The Doctors, The Early Show on CBS and Fox and Friends. She also appears regularly on Extra and the Steven and Chris Show. Her Gemini award-winning reality show Tosca: Flexing at 49, was featured on Canada’s Oprah Winfrey Network (OWN), and she has plans to release a much-anticipated follow-up series examining life after the loss of her husband Robert Kennedy. 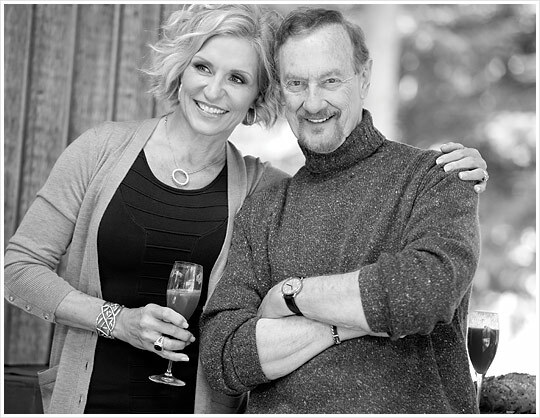 After Robert’s death in April 2012, Tosca became the president and CEO of his company, Robert Kennedy Publishing, an innovative health and fitness publisher dedicated to creating products that inspire people to realize their full potential. She also contributes regularly to Clean Eating and Oxygen magazines, and has been on the cover of the latter an impressive eight times. When she isn’t in front of the camera, Tosca is spreading her personal brand of inspiration through fitness and motivational seminars at conventions, businesses, charity events and women’s groups across North America. On a mission to help as many people as possible transform their lives, Tosca has started what she calls an Eat-Clean Revolution. And with one look at the spectacular transformation photos and grateful messages across her extensive social media network, it is clear that this revolution is creating powerful, positive change. I can’t tell you how blessed and honoured I feel to be able to share this interview and feature on Tosca with all of you. I can still remember years back picking up my copy of the Eat-Clean Diet, I never knew a little book would change my life forever. I was instantly drawn to Tosca’s story and energy. I had and have such admiration for her and instantly fell in love with the lifestyle. I remember reading her story and seeing how she grabbed the reins on life and took destiny into her own hands (at age 40). Tosca shows such incredible strength, determination and passion that it shows me daily there really are no excuses for living your best life. She has encouraged me and inspired me to be a better person and keep my head up with life’s challenges. Tosca has created the Eat-Clean World and allowed all of us to share in her every step. We have seen her struggle and overcome obstacles, while always having an open heart. Her love for her family is beautiful and her infectious smile could light up any room. When I heard of the news of Robert’s passing, I was deeply saddened and wondered how she would cope. All I can say is I didn’t think I could respect and adore her more, but I did. The way she shared her emotions was so moving, raw and incredibly brave. That’s just the kind of woman she is, always living life with an open heart. You can see her beautiful video on speaking about Robert Here. This picture that I have included from Oxygen Magazine with Tosca on the cover is one of my favourites, I keep it close to push myself harder at the gym. I also reference many pictures of Tosca and her trainer Rita Catolino (who is now my new coach~ Interview and update coming soon). I picture Rita and Tosca’s voice encouraging me to give it all that I’ve got. At the end of the day we all have self-doubt that creeps in from time to time, but surrounding ourselves with positive influences and inspirations is the only way to quiet that little voice that says you can’t. I keep Tosca’s “Just The Rules” by my bed so I am reminded every time I go to bed and wake to live and breathe the Eat-Clean way. Featuring an interview with one of my role models has been a dream for some time. When I heard that I was going to have the opportunity, I was over the moon with excitement. It really is hard to put into exact words what this wonderful woman has done for me physically, emotionally and spiritually. She is like my Oprah in the fitness world, her words lift you up and keep you going strong. I love how vulnerable she is and uses it to help millions. I can say from the bottom of my heart that life just wouldn’t be the same without Tosca and the Eat-Clean Diet. They always say to dream a bigger dream, well mine is to one day meet and work with Tosca in some way. Who knows maybe a Oxygen Magazine spread is in my future, one will continue to Believe. TR~ You have to get to your worst place before you finally get better and I did that. Being obese and ill made me change – that and my family. BB411~ How did Becoming a Nutritional Therapy Practitioner and health/wellness expert come to be? TR~ Through sheer passion, curiosity and having changed my own health through better nutrition. BB411~ What inspired the Eat Clean Diet? TR~ Same thing as above – I needed to clean up the way I ate and I did it! BB411~ Have you thought of developing a seminar to have personal trainers under your brand that represent the Eat Clean way? TR~ Yes – on it! Stay tuned. TR~ I have a deep passion to make a true impact, namely in the health, fitness and nutrition world. BB411~ Which fitness stars and athletes did you admire growing up or do today? BB411~ What is your fitness regime and what supplements are important to take when training? TR~ Very long answer! I do a lot! Lift, run, bike, swim, CrossFit and more. I Eat Clean for nutrition and supplement with laughter and celebration. TR~ Have laser-sharp focus, don’t quit, ask experts and be prepared to work hard. BB411~How do you stay motivated with life’s daily stresses that come up? TR~ I practice gratitude every day. TR~ Confidence in oneself is beautiful. BB411~ Your family and you are close, how have they impacted you? TR~ They are my rock, my survival, my inspiration. TR~ They made me – I learned discipline and hard work from them. TR~ To live to one’s utmost ability is the only way to do it!! TR~ Diabetes Association, Heart and Stroke Foundation. TR~ That means to live life with a conscience and an eye to the condition of your fellow man. TR~ Stay strong – your time will come. You have gifts. You’ll see! TR~ I drink plenty of H2O and don’t eat sugar. I eat 3 tablespoons of coconut oil every day. TR~ Coconut oil, Burt’s Bees Cuticle Cream, Bobbi Brown lip gloss. TR~ H2O! Bobbi Brown’s facial cleansing regimen. BB411~ Do you have a best-kept beauty secret that has been passed down to you (say from your Mother or Grandmother)? TR~ My eyes change color! TR~ All greens – love them all! TR~ I can do anything. No kidding! Just believe. TR~ Keep going! See the vision in your head – pursue it! TR~ Just as fit, smarter, and more successful in books, TV and Eating Clean. BB411~ I want to thank you for this amazing opportunity to feature and interview you on Beauty Buzz 411. You have been such an incredible role model. I also wanted to say how deeply saddened I was to hear about Roberts passing. He was such a remarkable man, great mentor, icon in the fitness community and will continue to inspire us all throughout the years. Thank you for continuing all that you built together, you inspire and encourage me each day. TR~ Thank you! It’s an honor to be a part of your blog. To keep up to date on Tosca be sure to follow her on Twitter , like on Facebook, check out her Blog, Pinterest and Website. 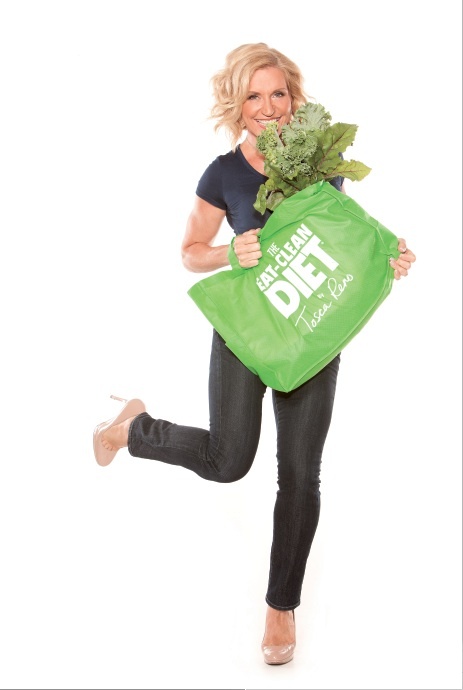 Remember to Check out the Eat Clean Diet on Twitter, Facebook and their Website too!